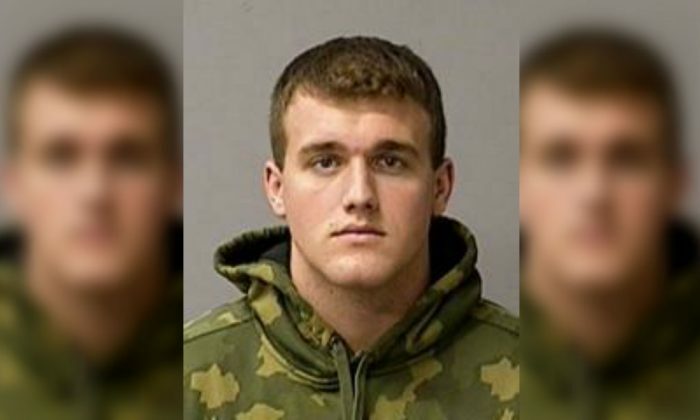 A student at a north California high school was arrested after a video was circulated online that allegedly showed him throwing a kitten into a body of water. Police in Patterson, California, were tipped off about the video after it was posted on a private Facebook group for local residents, the Stanislaus County Sheriff’s Department said. Authorities believe the video was filmed several months ago. High school senior Garrett Haile, 18, was arrested at his home on Friday, Feb. 2, after police identified him as the subject in the video. Haile was booked on a felony animal cruelty charge. The disturbing video was shared hundreds of times over social media, prompting outrage from local residents in Patterson and the wider Stanislaus County, reported Fox40. Police say Haile, who was 17 at the time the video was shot, will likely be charged as a minor. Investigators are currently looking for the person who filmed the video and any others who may have been present during the incident. Police have not yet identified the location of the body of water shown in the video. What happened to the kitten and its whereabouts are also unknown.